Canada's Resources Minister Joe Oliver is in Washington this week and by the looks of it he's trying to woo US lawmakers and warm them up to the idea an oil pipeline. Oliver told Wall Street reporters that he was "ready and eager to work with Americans on a whole host of issues, including the development of our non-conventional resources." The big resource in question is Canada's oil sands bitumen which the country hopes to transport through the continent via the proposed Keystone XL pipeline. But the minister wouldn't say much more about his meeting with US Energy Secretary Ernest Moniz. Last week Canadian Prime Minister Stephen Harper did his best to win the blessing of US President Barack Obama. 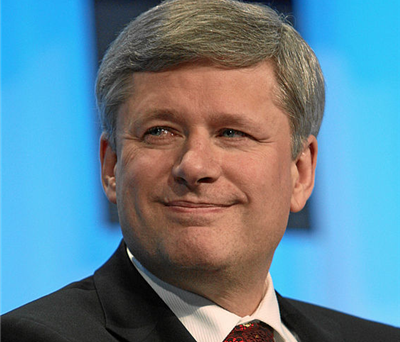 Harper sent a letter proposing "joint action to reduce greenhouse gas emissions in the oil and gas sector," CBC News reports. According to the CBC report, Canada is willing to accept emissions reduction targets set by the US. Oliver later clarified with the CBC that this was not to be seen as a "concession" on behalf of the Canadian government. TransCanada Corp (TSE:TRP), the company behind the $7 billion proposed pipeline, would connect Alberta deposits with refineries in Texas. But Obama has noted his hesitancy more than once. In June the President said he would not support the project if it were to "significantly exacerbate the problem of carbon pollution." "The net effects of the pipeline's impact on our climate will be absolutely critical to determining whether this project is allowed to go forward," he said.